“New Wave of Symphonic Heavy Metal”. This is how the Moscow band Imperial Age describes their music. As influences, among others, Therion, Avantasia and Within Temptation are called. After several tours through Europe as support for Therion they went to big headlining tour. As support they could win Sechem from Spain and molllust from Germany. The band Rabenwolf also announced for Hamburg had to cancel her appearance due to illness of some band members. The pictures of the evening can be seen on Flickr. Although only three bands were to perform this evening, the Spaniards Sechem started at half past eight as planned. The texts are entwined with Egyptian history and mythologist. Thanks to the two recorders, played by band founder and songwriter Marta Sacri, the sound got an oriental flair. Some keyboard and guitar passages also sounded oriental. But strictly speaking, the band played symphonic metal at a high level. In addition to songs from the current album “Disputes With My Ba” (2018), one older song from a demo CD from 2014 was also heard. At the final song, the band got company on stage, the members of the other bands celebrated together with the Spaniards. In the third attempt, it finally worked. I was able to experience the Opera Metal band molllust from Leipzig live. Hardly any other band manages the symbiosis of metal and classical music so well. Molllust was founded in 2011 by singer and pianist Janika Groß (HAGGARD). This was joined by singer and guitarist Frank Schumacher, among others. Three albums have been released so far. The focus of the evening was songs from the last album “In Deep Waters” (2015). Has been a while, but the singer assured me that is working on new material. Since molllust stood below-stranged on stage, the violin and cello had to be played from the computer. And the musicians had a lot of fun. In “King of the World” Frank sat on a crown and played himself into the foreground. Till Janina pointed him in his place. They finished their show with their own version of the Ave Maria (by Charles Grounod, using the Prelude in C major by Johann Sebastian Bach). Not many metal bands indulge in the luxury of having three or more regular singers on stage. At first glance, only Therion and Avantasia come to mind. Although the latter is not actually a band in the true sense, but rather a studio and live project. To this illustrious group also includes Imperial Age from Russia. 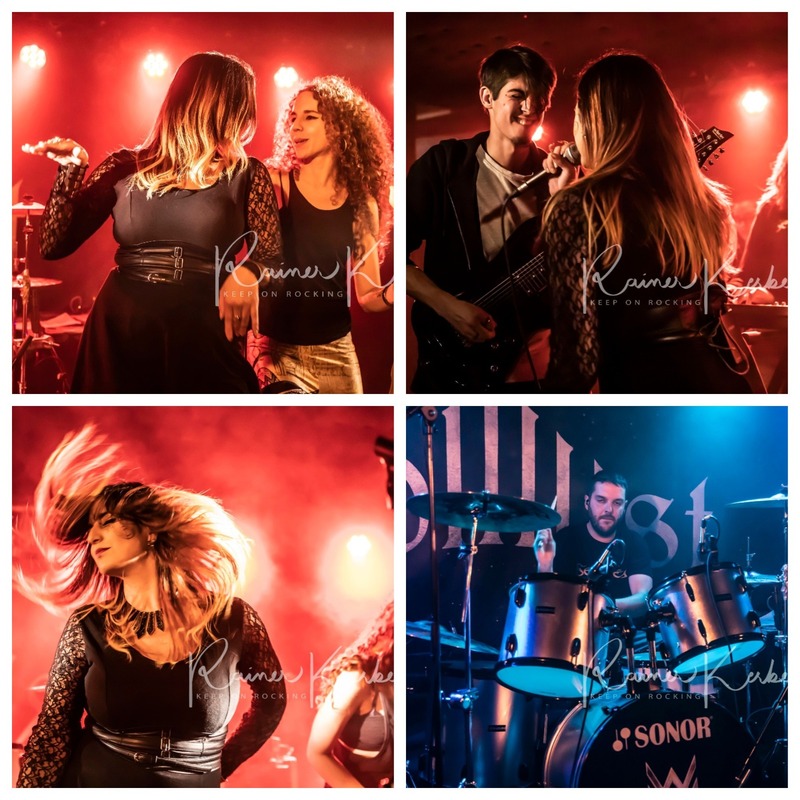 The band was founded in 2012 by singer Alexander Osipov and singer Jane Odintsova. They were assisted by Christofer Johnsson (Therion). The vocal triumvirate is completed by Anna Moiseeva. 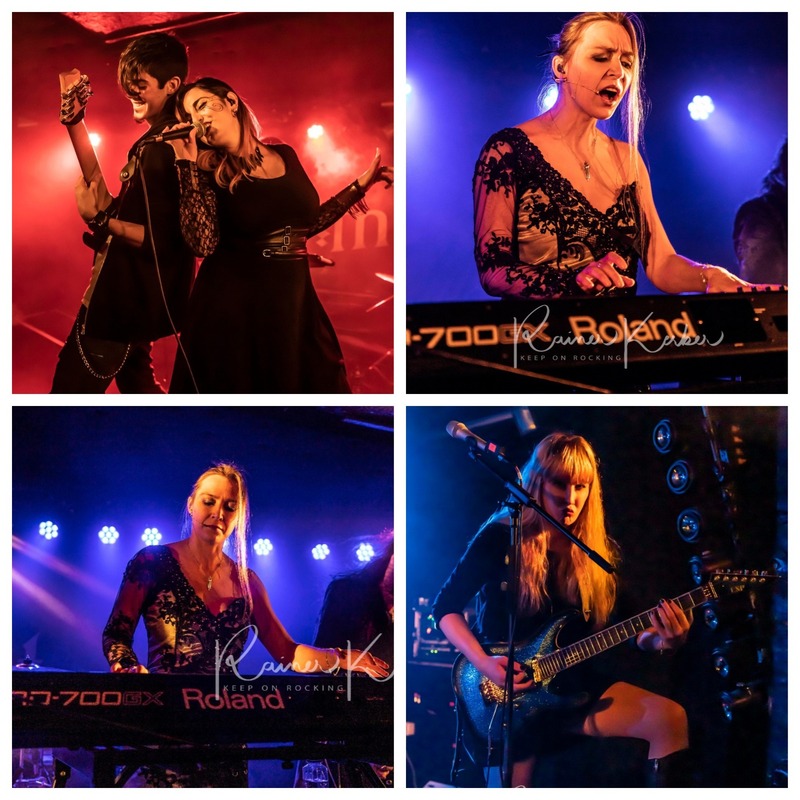 Meanwhile, they are probably the most successful symphonic metal bands in Russia. 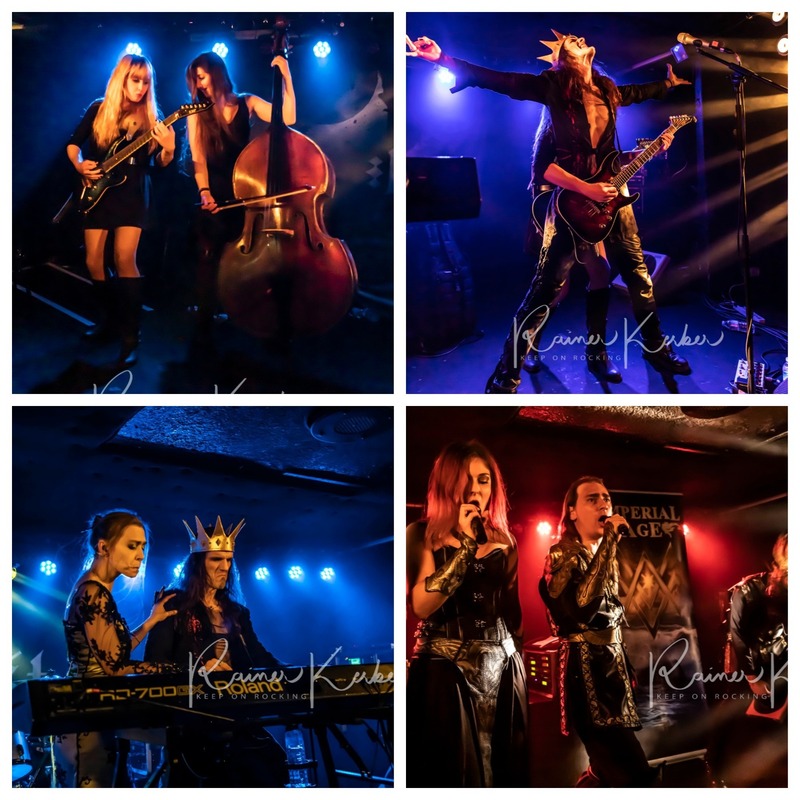 Six outstanding musicians presented high-class symphonic metal, in the intersection of the aforementioned bands. The stage choreography reminded me again and again of the Swedish genre greats Therion. But most impressively I found the voice of singer Alexander. This is how the soloists of great Russian choirs sounded in earlier years. Not to mention the fact that the singer broke his right upper arm at the beginning of the tour. After an emergency operation in Moscow, he stands now evening after evening with an implanted metal plate on the stage. Chapeau! What a great evening. At least on stage. Unfortunately, only a few fans had arrived in front of the stage. But that’s hardly surprising when you know that four more high-profile rock and metal concerts took place this evening. The scheduling was not optimal. The bands and the fans were not impressed by that and celebrated together.